Ever count how many times per drive you use your brakes? They are extremely reliable given how often we use them but they have to be maintained and taken care of. Here’s everything you need to know about your brakes. The best way to know what the real issue is to have a certified mechanic diagnose the issue by inspecting it. For example squealing brakes is usually a sign that the brake pads need to replaced but it could also be due to pads not being installed properly. Cars have between 4-8 brake pads in them, with the front brake pads larger than the rear. Brake pads can be made of different materials depending on the application. There is no “perfect” brake pad for all conditions, each has its pros and cons. Brake pads for street cars are usually one of the following: organic, semi-metallic, ceramic, and sintered. Organic – Usually the least expensive pads, they are what most manufactures put on their cars because they are soft, so they’re easy on the rotors and don’t make a lot of noise. They also work really well for commuting for their ability to stop the car when the brakes are cold is very good. These brakes aren’t good for racing, or any activities that require severe braking because as the temperature goes up their effectiveness goes down and they burn up quickly. Semi-Metallic – These are more expensive than organic brake pads because of the process involved in the manufacturing of these pads. Compared to organic pads, these pads have a much higher operating temperature and don’t wear out as quickly when put under extreme stress. Their down side is the fact that they are more abrasive and wear out rotors faster than organic pads. On top of that, they also make more noise, and produce heavier dust. Most race cars have semi-metallic pads. Ceramic – Ceramic brake pads biggest benefit is the lack of brake dust and noise. They usually last longer than organic pads in terms of wear while being better for the rotors. They also have a higher operating temperature than organic pads but nothing close to semi-metallic. They are almost a compromise between the semi-metallic and organic. To summarize, if your car is a regular street car you should get organic or ceramic brake pads. If you’re racing or tracking your car then you should look into semi-metallic or sintered pads. 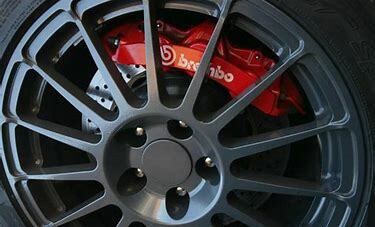 Also read: What are the difference between brake pads and rotors? The rotors (also called discs) are what the brake pads grab to stop the vehicle. Just like we brake pads, we have different types of rotors each with their own benefits and drawbacks. There are regular rotors, drilled rotors and slotted rotors with varying levels of heat displacement. Regular rotors – These are the regular rotors you on almost all cars. Drilled rotors – These rotors have holes drilled into them. Drilled rotors have the benefit of letting heat escape more easily than regular rotors. Another benefit is they prevent gas build between the pads and rotors, even though this is isn’t an issue with newer pads. The last reason is water and wet conditions, the holes allow water to be easily be removed on the rotor’s surface. The disadvantage of the drilled rotors is the weakened structural integrity of the rotors. Slotted Brake Rotors – Instead of using holes as drilled rotors, slotted rotors use slots carved into the rotors which allow heat, gas and water to move out of the way. These are popular with high performance cars in demanding conditions because they are more durable than drilled rotors. The disadvantage of these rotors are that they wear down the brake pad quickly which is why most manufacturers use drilled rotors. When should I get my brake pads replaced? or How often should I replace my brakes? You should replace your brake pads when the pads have less than 3 mm thickness left. In most cars you will hear a squealing noise when you press the brakes and other cars you’ll also have a sensor that tells you so. It’s imperative you do get your brake pads replaced as soon as possible, driving with worn out brake pads is dangerous and can lead to very expensive repairs. Other warning signs that you need new brake pads including the brake pedal being lower than normal and vibration in the steering wheel. 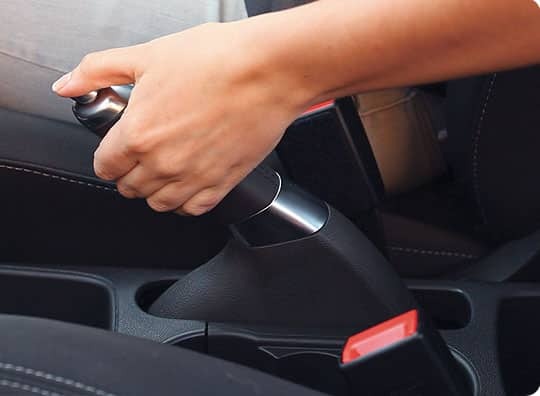 Antilock Braking System (ABS) is installed in most modern vehicles as system to prevent the brakes from locking up when they’re pressed too hard for the conditions. For example if it’s slippery outside due to ice and you press the brakes, without the ABS system they would immediate lock up. With ABS the system would prevent that by applying a “pulse” to the brakes instead which allows you to steer the vehicle at the same time. When should I replace my rotors? Ignoring this repair may cause rotors to thin out or become warped in which case the rotors will be unable to dissipate heat caused by the system effectively. This may cause the braking fluid to boil and reduce the effectiveness of the braking system. 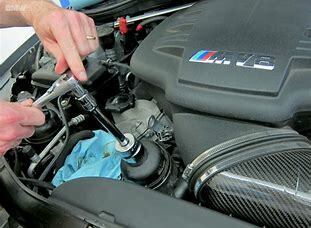 At instaMek we recommend you change your brake fluid as often as your vehicles manual recommends. You can even test your brake fluid as often as you like for copper and air to see how much life you have left. Related: Read about the different types of brake fluid. My brake light is on, what does that mean? 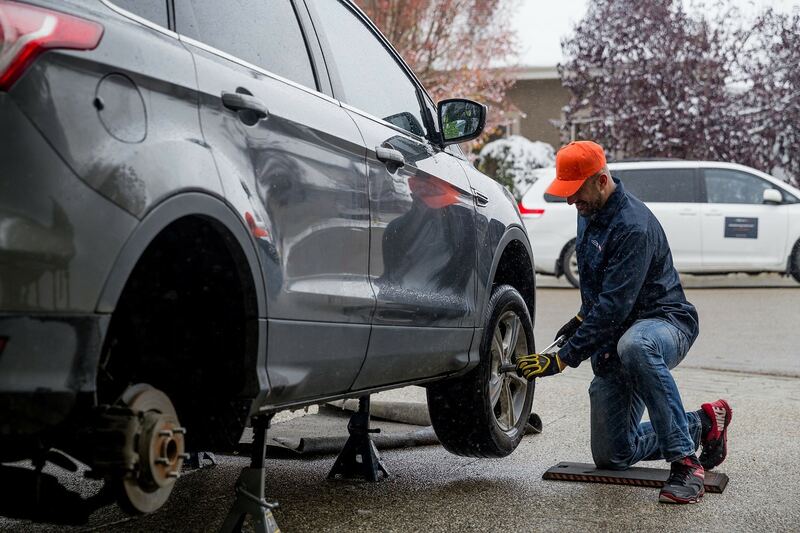 You should call a certified technician to check on the problem before driving the car after checking the brake fluid level and parking brake. You can look in the owners manual of your vehicle on how to check the brake fluid level.